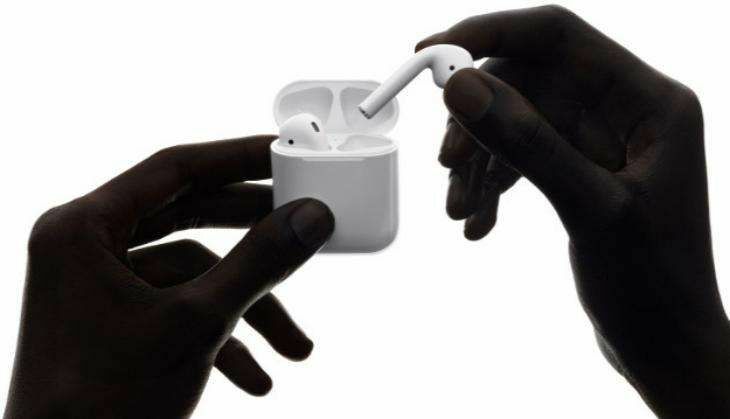 Home » tech news » #AppleEvent: Just as Apple launches AirPods, Twitter loses its mind! At the much-awaited event held yesterday in San Francisco, Apple unveiled the Apple iPhone 7, iPhone 7 Plus, Apple Watch 2, and AirPods. Yes, it killed the headphone jack to make the iPhone slimmer and more aesthetically pleasing (which eventually happened). Now, there are two reasons people are going gaga about the latest iPhones. One, the Jet Black iPhone variant, which looks out of this world. Two, the AirPods. In a nutshell, people are losing their mind over the AirPods. Just as Apple announced 'AirPods', their new wireless headphones, (big reason there is no headphone jack), Twitter went nuts with hilarious tweets. Why? Because how will people manage to keep the AirPods intact? Plus, the fear of losing a $159 device is greater than losing earrings secured through pierced earlobes. Damn! We just love Twitter. Don't we?